Ybor City was established in the late 1800s as a cigar manufacturing town. Once known as the “Cigar Capital of the World” Ybor drew a large number of immigrants during the late nineteenth and early twentieth centuries, establishing a multi-ethnic enclave of Cubans, Italians, Spaniards, Germans, and Romanian Jews. As the populations grew, civic organizations, business and medical establishments and recreational activities increasingly became available to support the needs of a diverse community. Today, Ybor City is a bustling district of both commerce and entertainment, surrounded by the large brick buildings and shotgun homes of its cigar-making past. West Tampa was officially incorporated as a town on May 18, 1895. 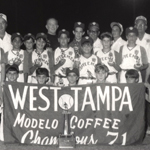 Although it is no longer considered a separate city, West Tampa existed as its own municipality for 29 years– during which time it evolved and prospered as a self-sufficient business and residential community for its primarily Spanish-speaking residents. Like its sister city located across the Hillsborough River, West Tampa is known for its culturally rich heritage and its historical role in the cigar industry. 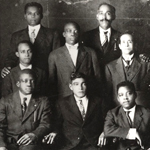 Description: The Avellanals were a prominent, pioneering family who immigrated to Ybor City in 1904. Special Collections maintains the archival collections of two members of the Avellanal family – Dr. José Ramón Avellanal and General José Luis Avellanal. 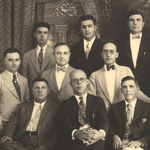 Dr. José Ramón Avellanal served as the director of the Centro Español mutual aid society, co-founded the trilingual Ybor City newspaper La Gaceta, and was the owner of El Bien Publico and the Liborio Cigar Company. The collection of his personal and professional papers includes diaries, ledgers, pamphlets, certificates, newspaper clippings, correspondence, and a small number of artifacts. The General José Luis Avellanal Collection primarily is comprised of correspondence. Description: Photographs given to West Tampa resident Jose Celaya by various friends and family members. 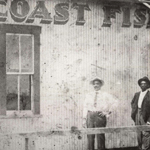 The majority of the photographs and photographic postcards were taken in West Tampa and Cuba. Description:Founded in 1902 by Spanish immigrants, the Centro Asturiano mutual aid society was established as a branch of a similarly named organization in Havana, Cuba. Collection items include: the society’s complete membership rolls; cemetery and hospital records; an impressive selection of photographs, many of which have been digitized and made available online; and books from the society’s library. Description: This collection consists of more than 100 record books, chronicling club activities between the 1890s and the 1950s, financial records and correspondence. The Centro Español de Tampa was the first mutual aid society established in Ybor City. 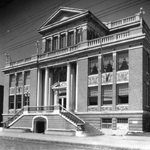 Today, its club building is recognized as a National Historic Landmark. Description: Donated in June 2000, the Círculo Cubano de Tampa Collection primarily includes meeting notes, photographs, programs and correspondence. 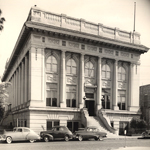 Founded in 1899, the Circulo Cubano continues to facilitate the preservation of Cuban heritage in the Tampa Bay area. Description: Established in 1922, La Gaceta, the Nation’s only trilingual (Spanish, English, Italian) newspaper, continues to publish articles of interest on a variety of topics. Description: Manuel “Manny” Garcia was a local defense attorney with both statewide and national political affiliations. He was staunchly involved with politics- having served as the 1936 President of the Young Democrats and as a national coordinator for Spanish-speaking voters during Richard Nixon’s Presidential campaign. 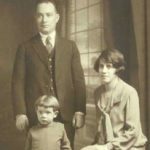 His ties to the Ybor City community began when his father, a foreign national from Spain, established one of the first and best known fine dining restaurants in the Ybor City area– Las Novedades. 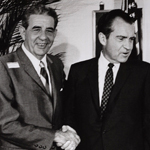 This collection consists of items related to Garcia’s political interests and includes invitations to various Presidential inaugurations as well as promotional items for political campaigns. Description: Representing the wide array of lithographic styles, colors, and processes used in cigar industry labeling and advertising, the Kane-Greenberg Lithography Collection consists of cigar labels, bands, and progressive proof books spanning from the late 19th century through the mid-1930s. Lithographic corporations throughout the United States are represented in the collection, including American Lithographic Co., F. Heppenheimer’s Sons, Witsch & Schmitt, George Harris & Sons, and Schumaker & Ettlinger. 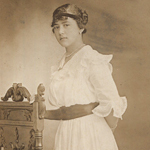 Description: Donated as part of the Tony Pizzo Collection, the González Family Papers primarily focus on the life of José Atilano González y Fernández (1891- 1972), a native of Luarca, Spain who moved to Tampa permanently during the early twentieth century. The collection includes personal documents, photographs, correspondence and such printed materials as marriage certificates and deeds. Three personal diaries documenting González y Fernández’s travels may be of particular interest. Description: The Armando Mendez Collection is one of the most extensive collections known that specifically focuses on the West Tampa community. Collection items range in format- from pamphlets, booklets and notes to both audio and visual tapes, photographs, maps, plates and slides. Photographs and articles about West Tampa’s cigar factories are of particular interest to both researchers and historians. Description: Donated in 1994 by Max G. Ramos, this collection details the El Modelo Coffee Mill company’s history through such business records as ledgers, inventory lists, photographs and correspondence. Description: Antonio Pereira was a Spanish national who immigrated to the United States through Cuba. 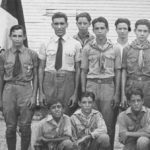 In 1926, Pereira settled in West Tampa where he founded both the West Tampa Boy’s Club and Boy Scout Troop 28. 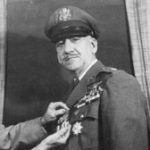 Comprised of newspaper clippings, records and reports, correspondence and photographs, the collection primarily consists of items (i.e., awards, plaques, and trophies) detailing Pereira’s career with the Boy Scouts. Description: Anthony P. “Tony” Pizzo (also known as “Mr. 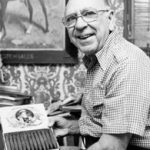 Ybor City”) made it his mission to preserve the history of Tampa’s cigar community. 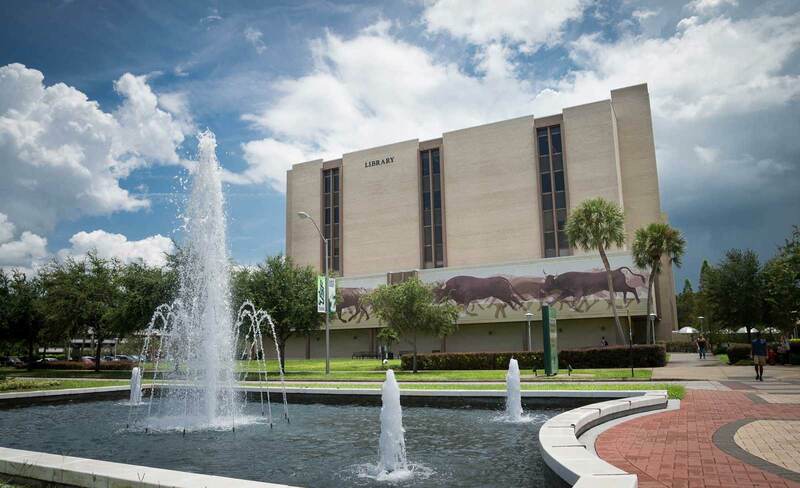 In 1982, the Pizzo family began transferring Tony’s private research library of books, journals, printed ephemera, manuscripts, photographs and other materials to the USF Libraries Special Collections. Pizzo’s collection documents the rich, multicultural past of his native Ybor City and particularly emphasizes the cigar manufacturing industry. 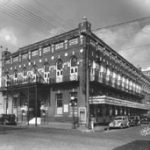 A broad and varied base of source materials for the study of all aspects of Tampa life, the Pizzo collection also consists of an assortment of research materials related to major Ybor City and West Tampa cigar factories. Items of interest include: artifacts, cigar box labels and bands, cigar boxes, pamphlets and brochures. There are numerous visual images, dating from the 1880s through the 1990s, and a great many items, such as bolita balls and a humidor from the Sanchez y Haya cigar factory, that are unique in nature. Description: El Porvenir was founded by Enrique Pendás and other cigar manufacturers, circa 1888, to provide physician services to its members. This collection was donated by the Sociedad Español de Socorros Mutuos and includes such items as ledgers and membership records. 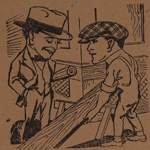 Description: The Pietro Rittini Papers provide research potential with regards to Tampa businesses during the 1920s. Donated by the Rittini family, this collection includes business records, correspondence and journals. Description: The Arsenio Sanchez Papers contain research information about various Ybor City and West Tampa establishments, primarily focusing on the cigar manufacturing business. Also present are personal papers of the Sanchez family and documents highlighting Arsenio Sanchez’s activities with the Tampa Historical Society and Ybor City Museum Society. The collection includes typescripts and manuscripts as well as photographs, printed ephemera, and a small number of audio and video cassettes. Description: Named after Cuban war heroes Jose Martí and General Antonio Maceo, La Sociedad la Uníon Martí-Maceo was founded in 1900 by Cuban immigrants of African descent. The records of this mutual aid society include organizational papers, speeches and a small array of publications. A number of books from the society’s library also comprise part of the collection. Description: The Spanish Civil War Oral History Project was designed to document the response of Tampa’s Spanish immigrant community to the Spanish Civil War (1936 – 1939). 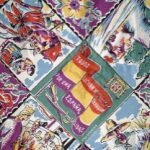 Partially funded by grants from the Program for Cultural Cooperation, the Florida Humanities Council and between Spain’s Ministry of Culture and United States’ Universities, the collection has been digitized and made available through the USF Libraries website. 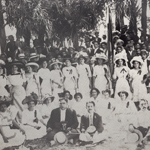 Description: The Italian Club of Tampa (L’Unione Italiana) was established in 1894. This collection of records consists of club publications, membership and cemetery records, business meeting minutes, correspondence and photographs. Description: The collection includes financial records, event and planning information, grant information, correspondence, publicity materials, and insurance information. Description: Ye Mystic Krewe of Gasparilla, a civic organization based on the legend of the pirate Jose Gaspar, began when George W. Hardee suggested ways for the city of Tampa to enhance its May Festival Parade. 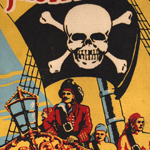 In 1904, the group dressed as pirates and “invaded” the city, creating what became known as Gasparilla Pirate Festival- one of the country’s largest, annual outdoor celebrations. The records of the Ye Mystic Krewe of Gasparilla primarily consist of Gasparilla brochures and programs. 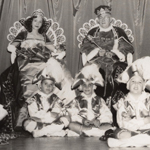 Assorted materials include invitations, tickets, awards, and biographical sketches of individuals nominated for the Gasparilla Pirate Festival’s royal court.